Don’t call us this week cause we probably won’t answer. 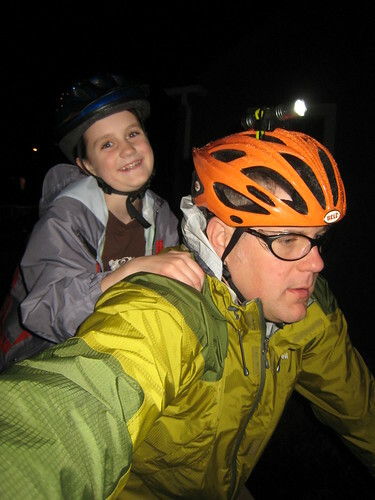 We’re in training for fiets of parenthood in Portland next weekend. We’re busy trying to shave seconds off our running starts, perfecting our short programs and working on Snapdeck axels and double salchow. We’re not sure if the kids should go for the quad axel or stick with an artistic triple. But we still have a few training days to work out the kinks. We love all of Julian’s suggested events and are hoping we’ll see some of these in Portland. If you have any secret tricks we could borrow that will tip us into the medals, let us know! This entry was posted in bikes, In other Cities, kids, PDX and tagged cycling events, fiets of parenthood, Pedalpalooza, portland. Bookmark the permalink. I hope you are taking notes so there can be a similar event in Seattle. I would come to Seattle for that kind of bike fun and then I would be able to eventually replicate up here! Yes – Julian (Totcycle) is planning a Seattle event for the summer! You could do one in the fall up there! We would totally come up and help…. Any serious athletic team needs matching uniforms. Just saying…. Please, please, please take & post lots of photos. This sounds like so much fun. Ahhh, to live in the Pacific NW surrounded by other bikey family. Right now if we tried to put together a Fiets of Parenthood here, there would be three families to include– all our friends with whom we already hang out. HAVE FUN! Good luck. You West Coasters keep planning these knowing full well that school isn’t out until next week over here (MD), thus there is no way we can bike over in time. I think you should bring your blender invention to the competition. Self generated snacks should win points. Maybe strawberry plants on the front rack. Just don’t forget the cords. By the way, my kids still like to say “My complements to the bike!” now and again. Been wondering how it went this weekend. Reports? Photos? Fiets of Parenthood was most excellent. We just rolled in last night and haven’t done a post about it yet ( but I promise we will soon). We do have some flickr photos up – check em out. And here’s the ride report from Bike Portland. The 9 year old and I had the fastest time! Yippee. Good times had by all.